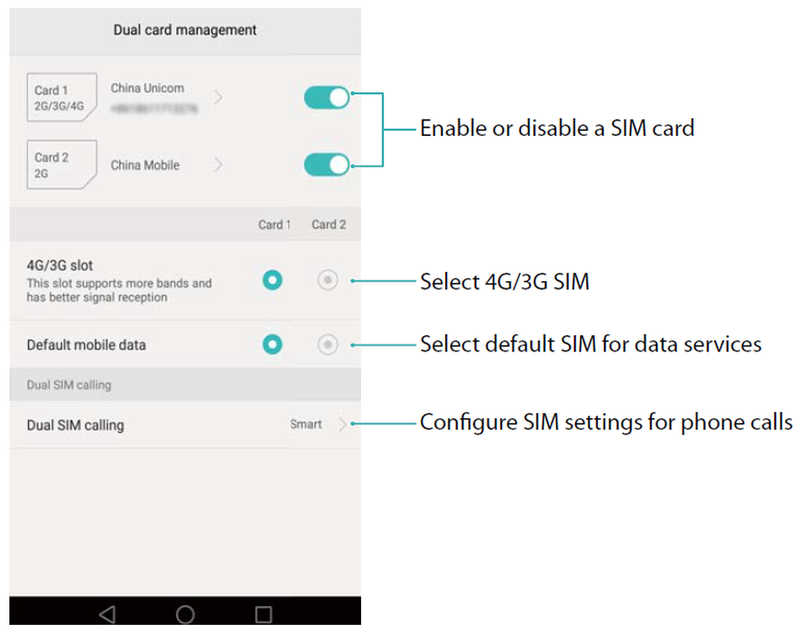 Honor 8 Dual SIM Settings - Read here Honor 8 tutorial tutorial and settings. Your phone will continue to receive messages, notifications, and incoming calls when the screen is locked. The status indicator will flash green when you receive new notifications. When you receive an incoming call, the screen will turn on and display the caller information. Ensure that the SIM card is inserted correctly before using your phone for the first time. Read here the Honor 8 Quick Start Guide for more information on how to set up your phone. to complete the initial setup. Select your language and region, and then touch Next. Proceed to the Wi-Fi settings screen. Your phone will automatically list available Wi-Fi networks. Select the network you want to connect to, and then enter the password to access the Internet. Follow the onscreen instructions to enable Wi-Fi+. Your phone has a fingerprint sensor. Follow the onscreen instructions to add your fingerprint. You also need to set a PIN or password in order to unlock the screen when your phone fails to recognize your fingerprint. On the Configuration successful screen, touch Begin to complete the settings. Wait for a moment and the EMUI interface should launch. You can now start using your phone. When two SIM cards are inserted, only one SIM card can be set as the 4G/3G/2G SIM. The other SIM card slot only supports 2G networks. You can also configure the default card for mobile data and phone calls according to your monthly plan. Open Settings and touch Dual card management. 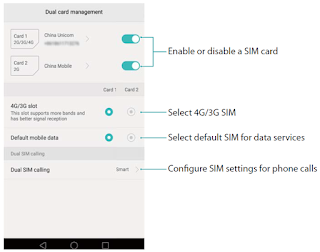 You can configure both SIM cards as desired. If you disable a SIM card, you will be unable to use it to make calls, send messages, or access the Internet. Select Dual SIM calling. 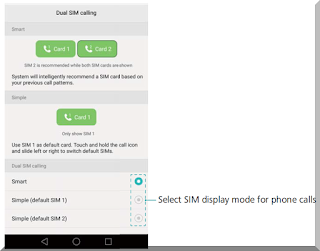 You can configure whether you want to select a SIM card manually or use the default SIM card each time you make a call. If you choose to use the default SIM card, your phone will use that SIM card for all outgoing calls.